The introduction of two Medal Races is one of the main novelties at the 44th edition of the Mallorca regatta, the first European stop of the ISAF Sailing World Cup. 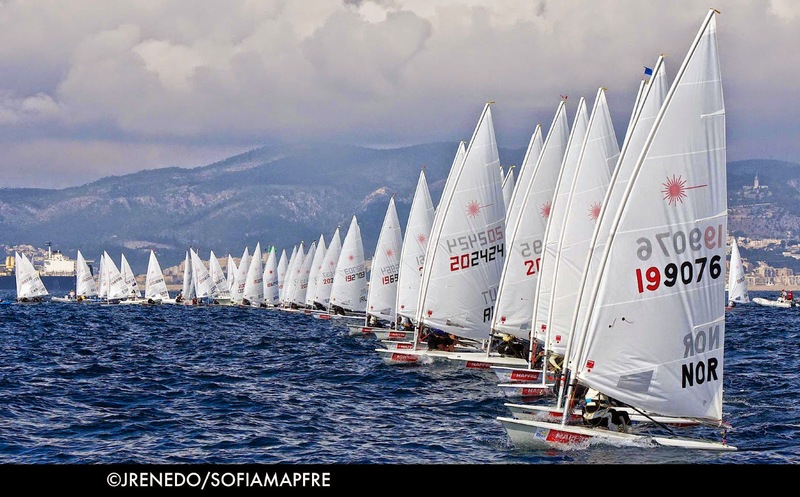 The 44th edition of the Trofeo SAR Princesa Sofia Mapfre for Olympic classes, the first European event of the ISAF Sailing World Cup, has been chosen by ISAF to test the racing format to be used at the Rio 2016 Olympics. The Trofeo Princesa Sofia Mapfre, to be held in the bay of Palma from 30 March to 6 April with the participation of the top world sailors of Olympic and Paralympic classes, will use a new racing format combining innovation and simplicity and aims at having the fairest event possible following the request from ISAF. Following some tests in SWC Miami, ISAF concluded “there were too many differences in the racing format in each class” a fact that caused important problems to the scoring system so it was decided to unify criteria starting at the Sofia Mapfre. ISAF also considered some of the rules applied in Miami did not work well and therefore will no longer be used. Among some of the discarded ideas there are “the winner of the last race is the overall winner” –this was tested by the windsurfers- or sailing three medal races for the Laser and Laser Radial. The approximately 800 sailors that will take part at the Sofia Mapfre, the only Spanish event of the ISAF Sailing World Cup, will sail qualifying and final series – with one discard, like they did last year and at the London 2012 Olympics. But two main novelties which were successful in Miami will be introduced at the SWC Palma. On one hand, the qualifying series score as one of the final series races, rule already proposed for Rio 2016. On the other hand, two medal races -final races always scoring double points, non-discardable and reserved to the top ten sailors- will be sailed in all classes except for the 49er and 49er FX that will sail four Stadium Races, of ten minutes duration instead of thirty and reserved to the top eight and with single scoring; with four non-discardable races. The results of the now called Final Day will be added to the results of the final series (which already include the qualifying series as one race) to decide the final overall results and podium. On the other hand, for the monotypes both the qualifying and the final series will consist of six races of 50 minutes duration (in the final series, one of these six races is the one resulting from the qualifying series), while the 49er, 49er FX and Nacra (the new mixed skiff) will sail 30 minute races, nine in the qualifying series and six (plus one carried forward from the preceding round) for the finals. Another big change is to be seen in the scoring system. Every single win scores 0 points instead of 1, while second classified scores 2, third scores 3 points and so on. This rule makes single wins more important but it has not yet been decided if it will be used in Río 2016. ISAF will evaluate this racing format at the Trofeo Princesa Sofia Mapfre and with the sailors’ feedback it will make the necessary amendments towards the next SWC regatta to be held in Hyères (France). “The Sofia Mapfre is proud to be the sailors’ event and we are pleased ISAF has chosen Palma to test the racing format and that the sailor’s opinion will be taken into consideration in order to define the racing format for the next Olympics”, stated Ferran Muniesa, the Trofeo Princesa Sofia Mapfre CEO.